OS Malevich is a new page in the history of Ajax. The fully improved operating system is even more reliable and ready for a rapid expansion of functionality. It combines the features of both real-time operating systems and Linux, while at the same time preserving all successful elements of previous versions of Hub OS. Upon finishing the development of OS Malevich, we did not immediately launch the operating system. We still had another six months of closed testing: 8 countries, 17 communication operators networks and various configurations of security systems. Each usage scenario has been tested thousands of times and we overcame even the most incredible situations. Finally, we were convinced that the system was ready. 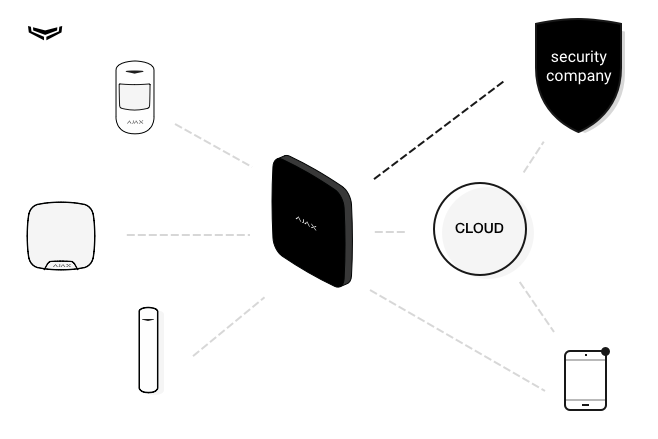 OS Malevich allows you to connect the hub directly to a central monitoring station, leaving the server to fulfill the role of security channel. In previous versions of the operating system, the security firm was only notified of events through Ajax Cloud. The Ajax security system now allows you to create 50 virtual rooms to help you manage your devices (before, you could only create 12). The number of users has also increased from 10 to 50. The difficulties associated with using Ajax in offices with a large number of employees are now a thing of the past. 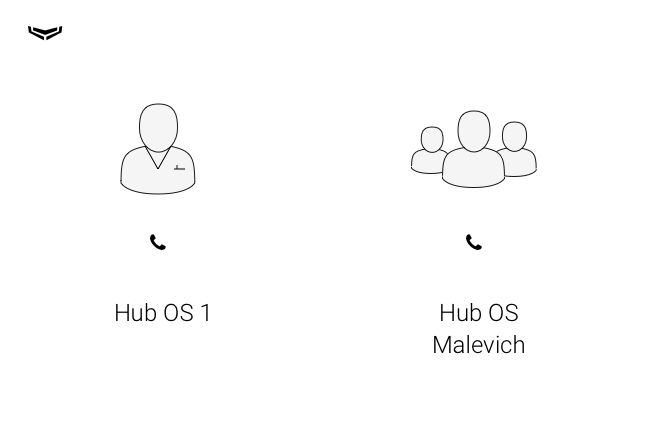 OS Malevich can notify all system users of alerts through push notifications, SMS or phone calls. Earlier, only the system administrator could get a phone call notification. 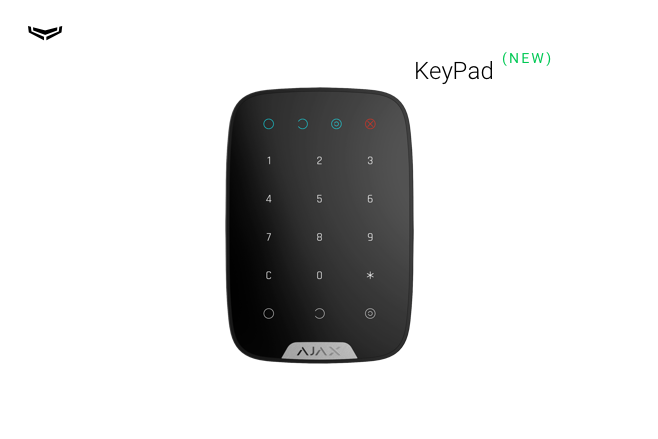 In August 2017, we will start selling the KeyPad wireless keyboard. 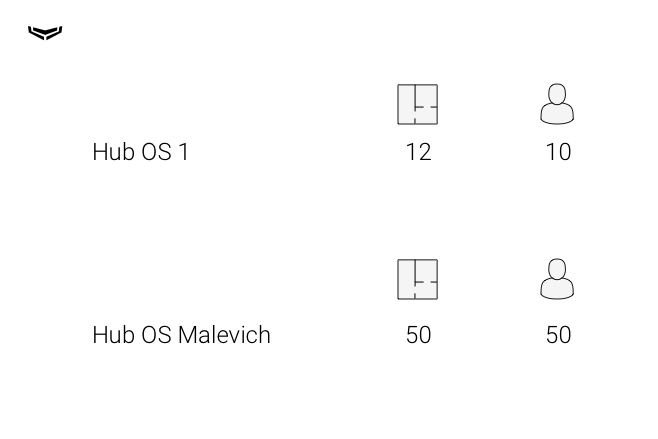 In order to connect the new device to the Ajax security system, you need OS Malevich. OS Malevich allows you to configure which detectors — and even individual sensors — set off HomeSiren and StreetSiren. For example, you can allow security detectors to activate the sirens, while the flood detectors only notify your phone. And, from now on, pressing SpaceControl alarm button won’t necessarily be met with the sound of a siren. If one sensor detects fire or smoke, then all FireProtect (with firmware versions 3.42 and higher) on the premises can simultaneously turn on their built-in sirens. This feature was recommended by European fire standards, which require an alarm power of at least 85 dB within 3 meters from the sound source. This allows even the deepest sleepers to wake up in case of a fire. And you can quickly disconnect the activated devices using a mobile application. To test Ajax FireProtect, just click a button in the application. This may seem like simple and obvious solution, but this software algorithm is rooted in Ajax know-how. In order to test fire detectors from other manufacturers, you need to press a button on device or insert a pin into a special hole (which is placed on top of the detector). FireProtect can now alert you after immediately detecting smoke or after it detects smoke twice in 30 seconds. This means that if accidentally burn something in a frying pan or if you fill your kitchen with e-cigarette steam, you have a better chance not to trip the alarm. OS Malevich allows you to disable the keyfob SpaceControl alarm button. This function will be particularly useful if you connect the system to a professional security company, but you don’t want to pay for an alarm button service. The new architecture allowed us to transfer much of the security system management to the hub. Before, the job was distributed between the hub and the Ajax Cloud server. Now, the hub operates autonomously. It manages security devices and monitors performance. It communicates directly with security firms and, through a server, with mobile application managers. It sends SMS and dials phones. If there’s an attack, it determines the nature of the threat and makes the decision to resist or to sound the alarm. Just like an admiral at sea, it does everything necessary to ensure that the Ajax security system fulfills its mission. Practically without the need for a cloud infrastructure. 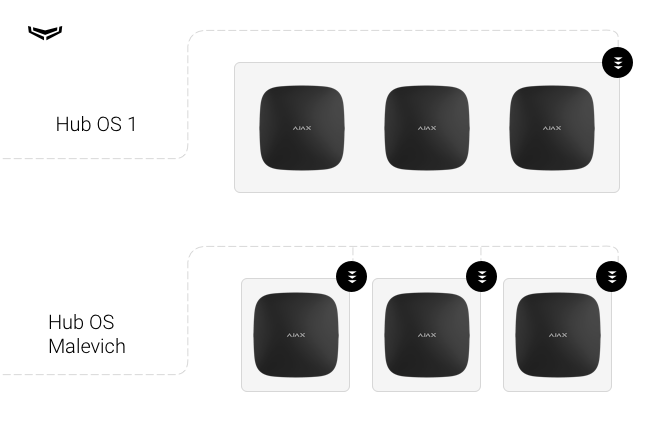 Now, we can update hubs point-by-point rather than in groups. This allows us to better control the launch of new versions of the operating system. We can introduce it in waves, region by region. The system administrator can turn off automatic updates and opt to download the OS manually. Nothing changes with iOS and Android. 1. WallSwitch scenarios — turn power sources on/off when changing the status of the Ajax security system. For example, when you leave the house, you can automatically turn off the air conditioner while the system arms. And you can turn it back on when you arrive home. Or use a relay in conjunction with an electric lock. 2. 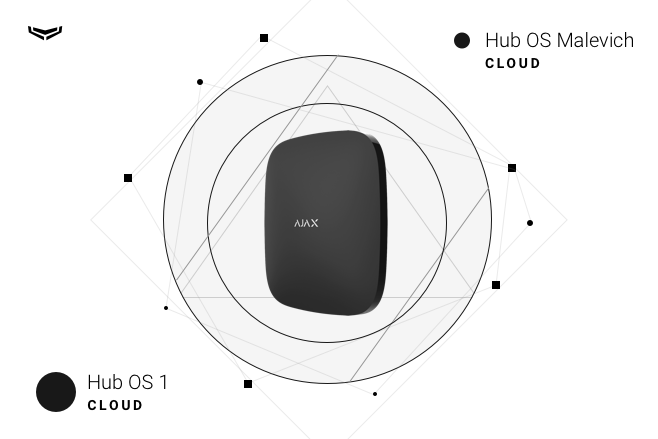 Video surveillance — the Ajax security system will allow users to connect up to 10 IP cameras that support RTSP video streaming. You’ll be able to watch over your rooms in real time from anywhere in the world. 3. Detectors will be partially armed, not the rooms containing them. That means, if you want to sleep peacefully at night with the perimeter of your house protected, you won’t need to group those detectors into a special room. You can just select the appropriate options in the settings of specific devices.